sunken church: Out of the Fog, Out of the Blur. Out of the Fog, Out of the Blur. I recently heard from some fellow business owners who attended SummitTrek’s 3-day LifePlan Retreat that a day or two later they found themselves deep in thought, facing some deep questions. Hearing about their experience reminded me of where I was a year ago, the first few days after Heather and I attended the same retreat. In a fog. Blurry. That’s what it felt like. I remember it took me a while to shake it. I also remember being surprised by it. Why, after an experience so inspiring, that helped you dig, heal, and process, would you find yourself walking in a fog? It’s hard to believe because now, a year later, I’m walking with more clarity than ever before. I know where I’ve been and how God has redeemed that part of my story. I know where I am in the present and am learning to choose wisely and boldly and creatively. I know where I’m headed and have a degree of confidence and momentum that continue to propel me forward. Ironically, I also had ICL surgery this week. After years of dreaming about it, I finally bit the bullet thanks to the generosity of a close friend and the excellent referral of someone in the field. 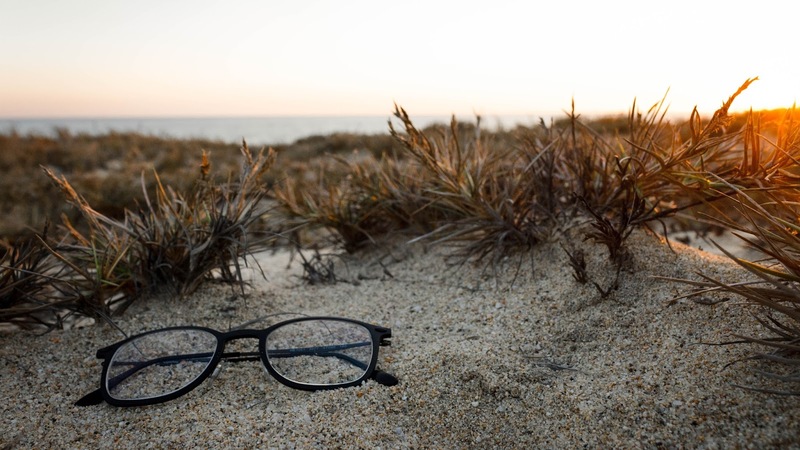 For a couple of years I haven’t been able to wear contacts and my active lifestyle made glasses restrictive, so I was anxious and excited to try a procedure that claimed to eliminate the need for either. ICL stands for Implantable Collamer Lens. The procedure entails inserting a collamer lens behind your iris which corrects myopia and takes all of twenty minutes. And some money. Oh, and it’s life changing. -Most people see even better after than before and they don’t require external aids to do so. Yesterday morning at 6:30, Heather and I drove into rush hour traffic in San Antonio and made our way to Dr Parkhurst’s office. I checked in at 7:30 and about thirty minutes, a couple dozen numbing eye drops and a couple of Valium tabs later, I was lying in a chilled surgical suite, listening to my choice of Pandora station (Oscar Peterson) and ready to roll. Fifteen or twenty minutes went by and I walked out in a haze, with instructions and a promise. It will get clear. Give it some time. Follow the process. Thirty minutes later, I sat in an exam chair and I could see my wife’s beautiful face as she sat in the corner eight feet away, something I couldn’t have done an hour before without glasses. Still foggy, still blurry, but I could see. On the drive home, I could see cars, buildings, trees, signs. Still foggy, still blurry, but I could see. Later that evening, behind sunglasses in an auditorium on a university campus I watched my daughter’s violin recital. No glasses or contacts. The lights were still bright and things were a little foggy. A little blurry, but I could see. I got up this morning and there was no fog. No blur. I could see and it was unreal. I walked around like it was the first day of my life, thrilling in every detail, in things I had taken for granted. Later this morning, the doctor confirmed I have 20/15 vision and it might get better. So, why is this ironic? So yes, we left LifePlan last year with questions. Things were foggy for a few days. They were blurry. But we had a process to follow. It took us a bit to adjust to a new way of seeing our past, our present and our future. But we gave it some time and followed the prescriptions and vision became clear and is becoming more so. Do you feel trapped? Lost? Feel like you’re drowning? Aimless? Wandering? I would love to talk to you about the LifePlan Retreat. Write me or click here for more information. And if you’re tired of wearing glasses, I know a great doc.